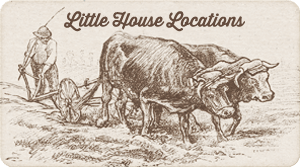 “Laura was proud to be helping Ma with the milking, and she carried the lantern very carefully. Its sides were of tin, with places cut in them for the candle-light to shine through. 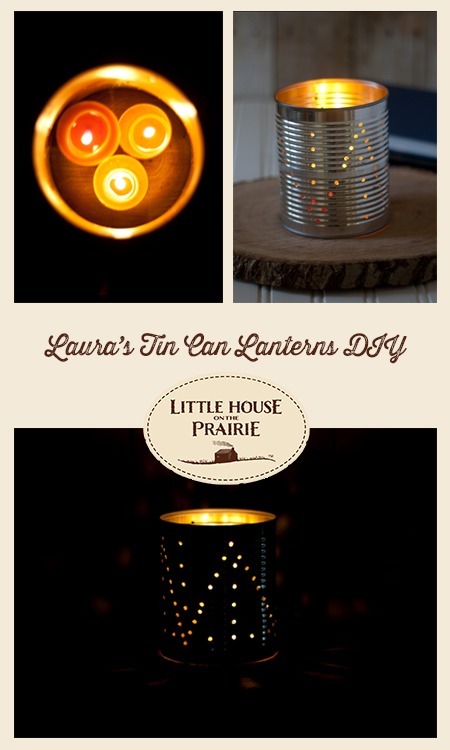 Laura’s tin lantern has inspired beautiful, old-fashioned lights and even rustic home decor pieces for many years now. 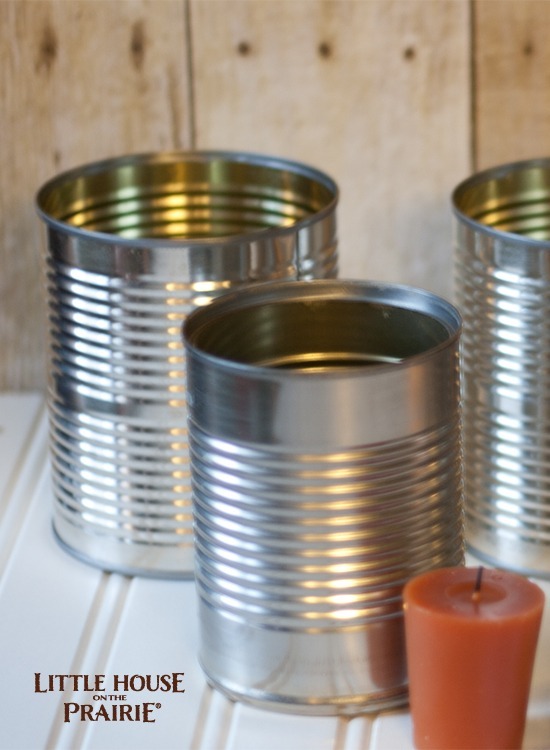 However, making a tin lantern reminiscent of the one Laura spoke of is easy to do and takes only minutes using items you probably already have on hand. Since you will be using a nail and hammer and the tin can be sharp, it is best for an adult to do this. But your child can offer pattern suggestions and enjoy the end result. 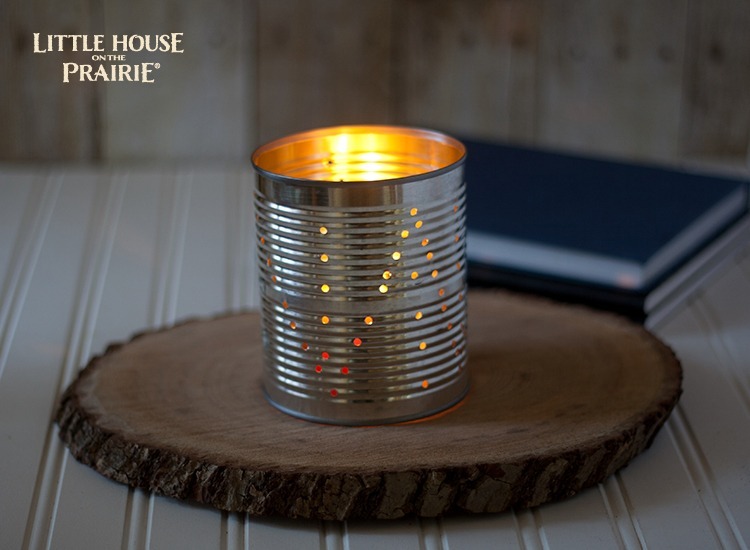 To make this lantern, I removed the top of a tin can to create a homemade candle holder. Fill the can with water and freeze it to support the sides of the can while you create the pattern. 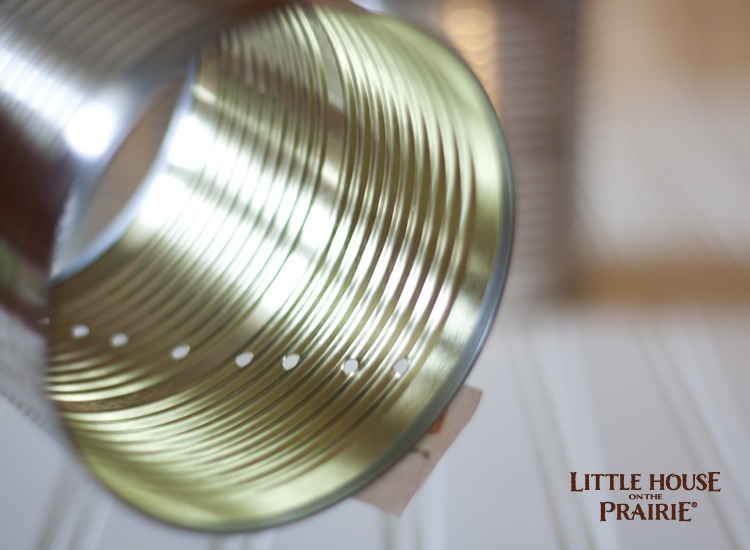 Using the nail and hammer, make holes in the tin can. I made a zigzag pattern and added lines straight up and down. No measuring is needed, just ‘eye’ up your pattern. Once done making your pattern, allow the ice to melt and your creation will be ready for use. Add a candle and light it. 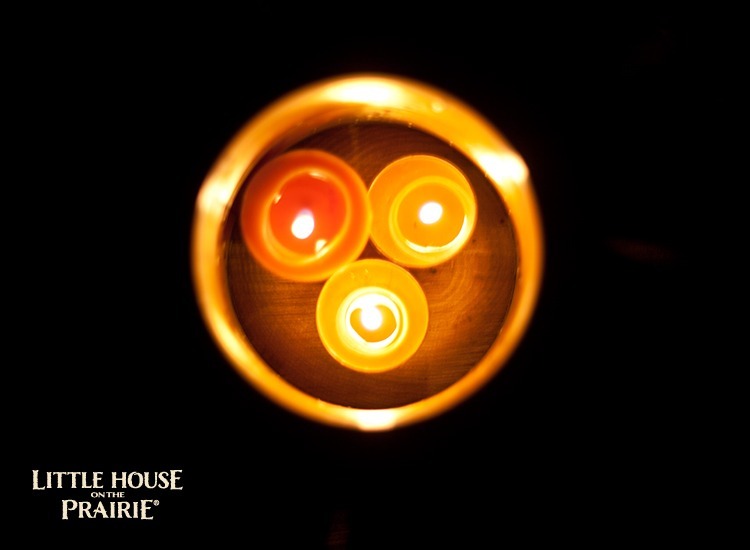 Once the candle is lit, enjoy the warm glow and the pattern the light creates on the area surrounding it. 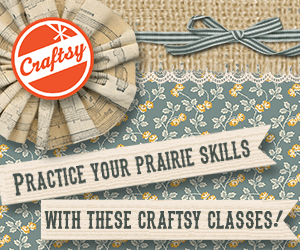 These would be perfect centerpieces for a Little House on the Prairie Party! 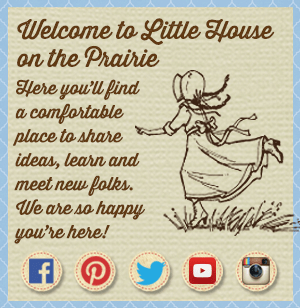 Get the best crafts, tips, and DIYs inspired by the Little House on the Prairie by subscribing to our free newsletter. 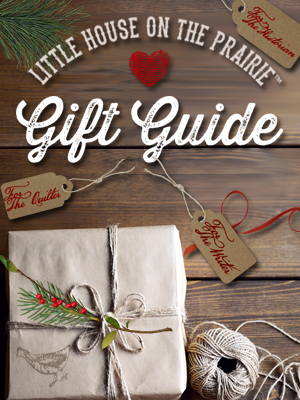 Mary Beth is the owner and author of Cupcakes and Crinoline. 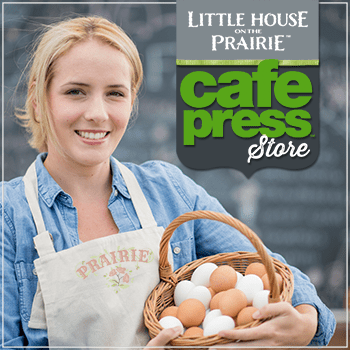 She works from home, homeschools her children and enjoys being a mother and homemaker. Those candle lanterns are beautiful, Mary! How long did it take to construct them? Since it’s summer, and my girls are out of school, I think this would be a fun project to do with them. Maybe I’ll put apple-cinnamon candle wax in them; that would smell delicious! I think they would be so pretty on the patio in the evening or as a center piece for an evening meal. This is a great idea for thanksgiving coming up and then Christmas! Thank you!